Takeaway: Boost the performance of your garden with the latest products available for modern growers. This time we are featuring grow bags, environmental control, and lighting technology from a variety of companies, including Titan Controls, Radicle Bags, Gorilla Grow Tent, NovaGreen, Reiziger, and Grower’s Choice. These products are all #GoodtoGrow. A sea treasure to activate, revive, and heal. 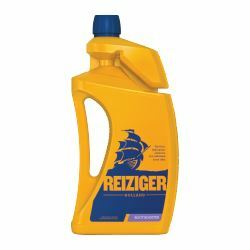 Borne from the sea for the discerning craftsman, Reiziger Root Booster has the reassurance of being used by many professional gardeners and growers for over 20 years to activate, revive, and stimulate indoor hydroponic plants, outdoor plants, seedlings, trees, flowers, bulbs, natives, and more. This nutrient-rich, organic root stimulator has the power to save, revive, or help newly potted plants and transplants, grow early white healthy roots, give more uniformity, and improve survivability, resulting in greener, vigorous plant growth and abundant new flowers. Search for the ship on the gold bottle. 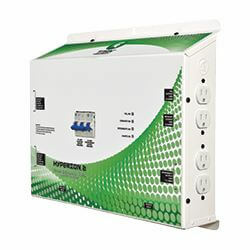 The Titan Controls Hyperion has become synonymous with advanced indoor gardening environmental control technology. Thanks to premium components, sturdy, dust-free housings, and exceptional finish, Titan Controls has earned a reputation for producing sophisticated, professional-grade equipment that lasts. Adding to this renowned line is the newest addition to the family, the Hyperion 2. This wireless environmental controller will monitor and control your grow room’s temperature, dehumidifier, CO₂ system, and up to four lights. Extensively tested to meet Titan Controls’ high standards, the Hyperion 2 allows growers to control their space from up to 200 feet away with a remote control, which is included with purchase. 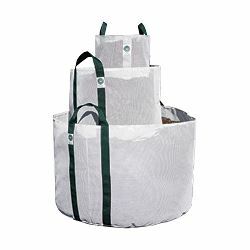 Radicle Bags are made from a mesh geo-textile designed to maximize your yields by promoting better gas exchange, with a cleaner air-pruning grow bag that does not absorb water. The word “Radicle” means root, and that is where the focus is—Radicle Bags support true air pruning by preventing a “root-bound” root zone. Air pruning allows for more branching, causing smaller roots to grow evenly while allowing much more oxygen to the root zone, effectively maximizing your yields. Ideal for use in hydroponics or dirt farming, Radicle Bags are extremely tough and easy to clean. Radicle Bags are available in tan and white, and have available handles to move even their largest bags. For a superior, truly reusable, premium product, choose Radicle Bags. Denier is a unit of measurement used to determine the thickness of the individual threads in a fabric; the higher the number, the thicker the fabric. The use of thicker fabric means that Gorilla Grow Tents are more light proof, more durable, quieter, stronger, safer, and the best possible growing environment for plants. Tents with a lower denier count will rip easily, leak light more readily, and offer problematic indoor growing environments. Their inadequate thread density presents an unnecessary risk of dangerous hazards such as flooding, and their old-fashioned swirl reflection design creates hot spots and does not effectively utilize rogue light. 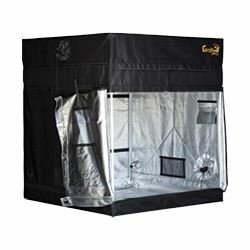 Grow tents use fabrics that can range anywhere from 200d - 1680d. Gorilla Grow Tents offer the thickest fabric, measuring at 1680d, which is three to nine times thicker than other tents in the market. Introducing the world’s first 1,000W CMH lamp. As a direct replacement for your existing 1,000W HID fixtures, this Grower's Choice 1,000W CMH lamp provides the absolute highest photosynthetically active radiation (PAR) to your specialty flowering plants. 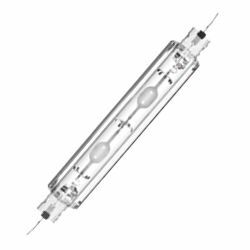 Emitting an astonishing 2,050 micromoles and with an extremely high CRI of 90, this lamp will not only increase your overall dry weight but will also raise the quality of your harvest. Grower’s Choice has continuously produced the world’s most accurate spectrum, closely replicating the sheer power of the sun. By using existing double-ended fixtures with our new 1,000W CMH lamp you can completely overhaul the lighting in your facility, and enjoy watching your yields increase as your temperatures decrease. For growers who struggle to control hard-to-eradicate spider mite infestations, help is on the way. NovaGreen has added Mite-Y-Phite 0-7-17 to its line of premium products. Developed to strengthen a plant’s cellular walls and stems, Mite-Y-Phite boosts plant growth and quality, and improves drought resistance by slowing the water transpiration rate. 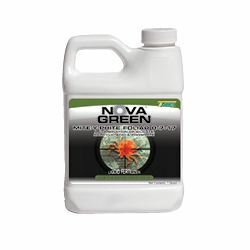 This powerful product combines potassium phosphite, potassium silicate, and potassium hydroxide—three nutrients essential for developing and maintaining optimum plant health. Each application of Mite-Y-Phite fortifies the leaf wall, which deters hungry spider mites that can’t bite into the strong, healthy foliage. In addition to deterring mites, this three-in-one product can also replace silicate and phosphate applications, ultimately saving growers time and money.